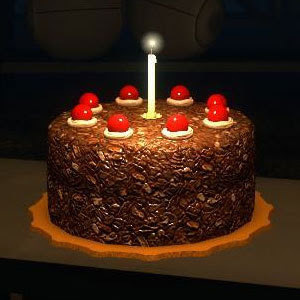 it all started with Chrono Trigger...: Happy Birthday! After a grand total of ninety-five posts full of editorials, reviews, gritty iPhone pictures of my television and general blathering, it all started with Chrono Trigger turns one year old today. I never imagined last January when I started this project that it would turn into one of the more meaningful things in my life. To be completely honest, I started writing as an escape from the hum drum of routine life, believing that adding a reflective element to an otherwise solo interaction would enhance the experience and keep my creative juices flowing. But over the past year it has become so much more. I have met so many great people who have been nothing but supportive and encouraging, received positive feedback from peers and found unbelievable happiness with no aspirations or ambitions simply beyond the act of playing video games and writing about it. And with 2011 already holding great promise, I am extremely excited to continue forward, recognizing that my tentative new hobby from last year has flourished into a place to explore new ideas and challenge myself to see video games from different perspectives, as well as an arena to continue recovering the writing skills that lay dormant for ten years beyond college graduation. Happy Birthday, it all started with Chrono Trigger! I got you a cake! When you blow out the candle, please ensure your wish is that we spend another year avoiding the wrath of SquareEnix and Nintendo by brazenly using the name of one of their games in an individual player review blog without caring about any potential consequences. Congrats on making it to your one-year anniversary! Here's to another year of great games and excellent commentary!